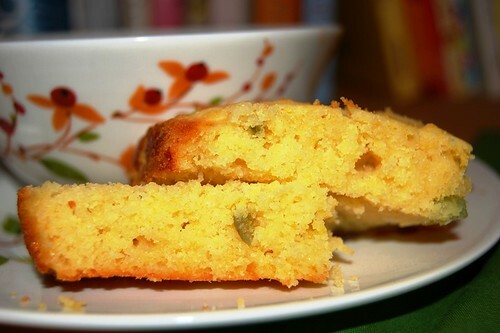 But I really love corn bread…hot from the oven, studded with jalapenos, and infused with sharp Vermont cheddar. Preferably next to a bowl of soup. I wanted something spicy in honor of my upcoming trip to Mexico for Food Blogger Camp. I’ve been so distracted by the holidays I had almost forgotten about it, but now it’s right in front of me. I leave at the crack of dawn on Wednesday and come back Sunday evening. YES PLEASE. I can’t wait! 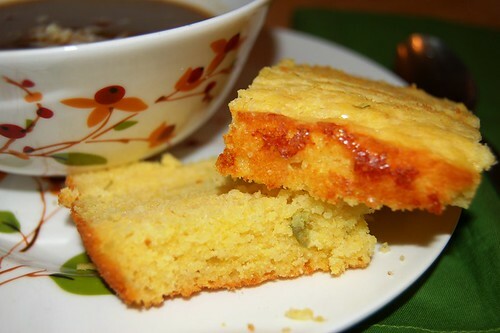 This Cheddar Jalapeno Cornbread was a terrific accompaniment to my favorite soup, Black Bean and Portobello Mushroom. 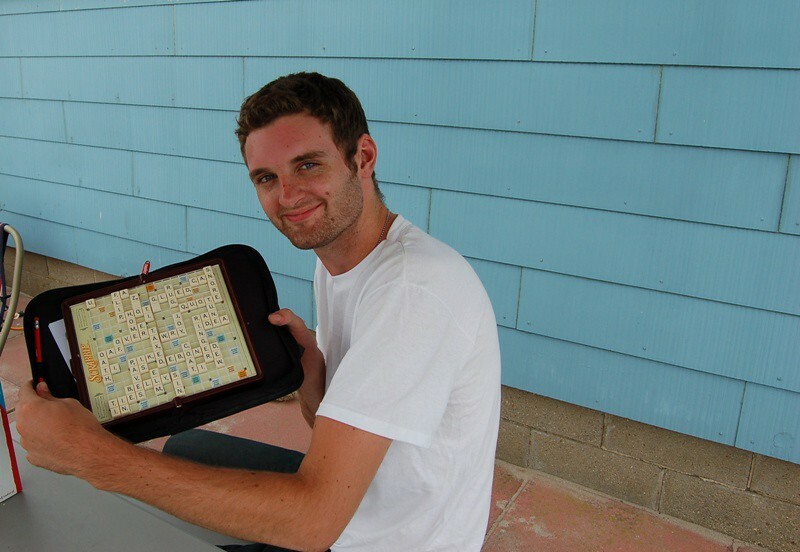 John and I enjoyed sliced, buttered squares before a heated game of Scrabble last night. Using the word “heated” is a joke. John actually fell asleep at one point. I had to nudge him and say “Hey…it’s your turn, pal”. Thankfully, I won…not like that dark day at the beach last summer when I lost. FYI, I am very competitive at Scrabble, but generous with my soup and cornbread. I hope 2011 is off to a great start for everyone! All I can think about is that it’s the year I turn 30. THIRTY. Oh Lord, I need to take a knee. I am not upset about getting older. It’s well known that I am pretty much a senior on the inside, so I am not going to mourn the passage of anything youth-oriented, like shorty shorts or whatever is going to replace Facebook. I say bring on the maple walnut ice cream, Wheel of Fortune, bingo, and Dorothy Zbornak wardrobe. It’s the other stuff. Wishing I felt a little more confident and settled in my own skin…my own surroundings. Sometimes it seems to get harder instead of easier (which is just rude – what happened to older and wiser?). I’m working on it. I know I will get there. And there is plenty of sunlight in Mexico. Also…(happy sigh) Mexican food. I promise to keep track of all of it. Stay tuned – perhaps on Twitter in addition to here, if you are so inclined. I am still really bad at Twitter but one of these days I’ll get the hang of it. Maybe during my 5 hour layover in Fort Lauderdale on my way back. I’d love to hear anyone’s tips on long layovers. Do you try and sleep in the bad chairs? Eat? Get a little tipsy? Duty free shop? Help! In a medium bowl, combine the milk, eggs, and melted butter. Gently stir the wet ingredients into the dry ingredients until just combined. Add the grated Cheddar, onions, and jalapenos. Allow the mixture to sit at room temperature for 20 minutes. Meanwhile, preheat the oven to 350 degrees and grease a 9×13 pan. After the 20 minutes, pour the batter into the prepared pan. Bake for 30 to 35 minutes, or until a toothpick inserted into the center comes out clean. Cool and cut into large squares. Serve warm for best taste. Good for you! I turn 30 this year too and have found myself feeling the same way! 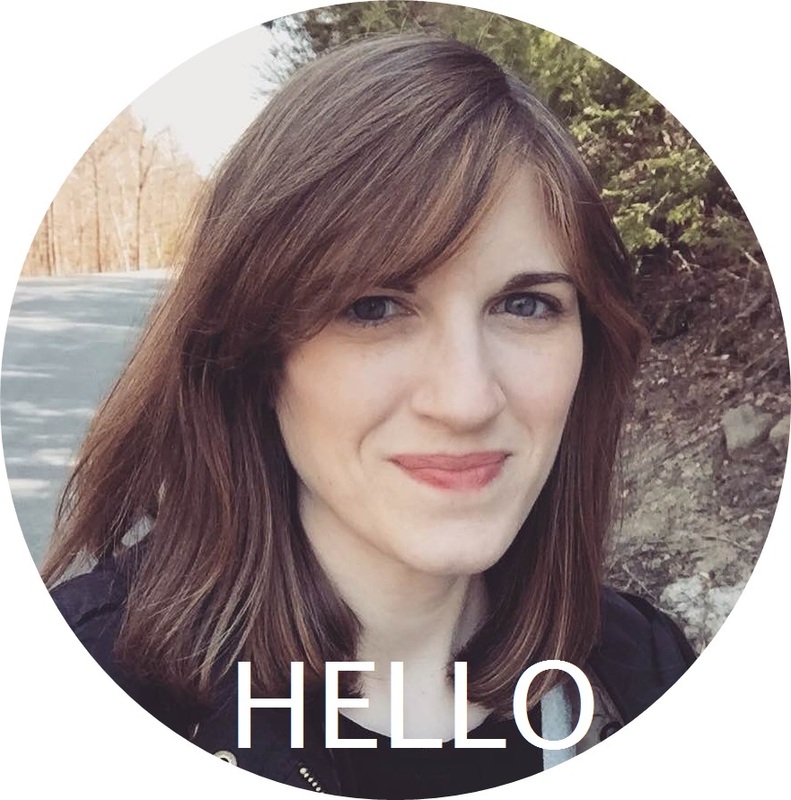 I love your theme for this year…it’s perfect, I have a pretty similar one. Cheers to the New Year, turning 30, and I cannot wait to hear about how food blogger camp was! 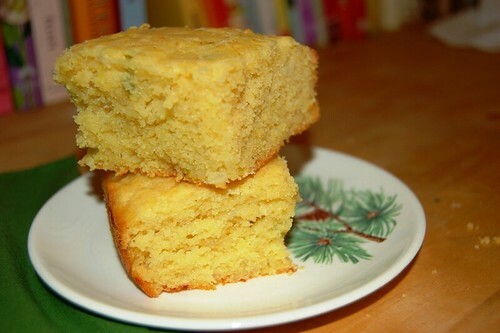 PS, this cornbread is soooo on my list to make. YUM! Your cornbread just made my mouth water, I am sooo hungry and can’t wait to get out of work and eat some nice warm dinner. I still don’t know what to make but it has to be something satisfying! Also, good luck on your trip tomorrow! I hope you enjoy it and update all of us on everything! That looks really good, and I don’t even like jalapenos! I’m all about the cheddar and cornbread though, yuuum. There’s nothing better than a square (or 3 :)) of cornbread with a good soup. Thanks for sharing these recipes! I can’t wait to try them both.